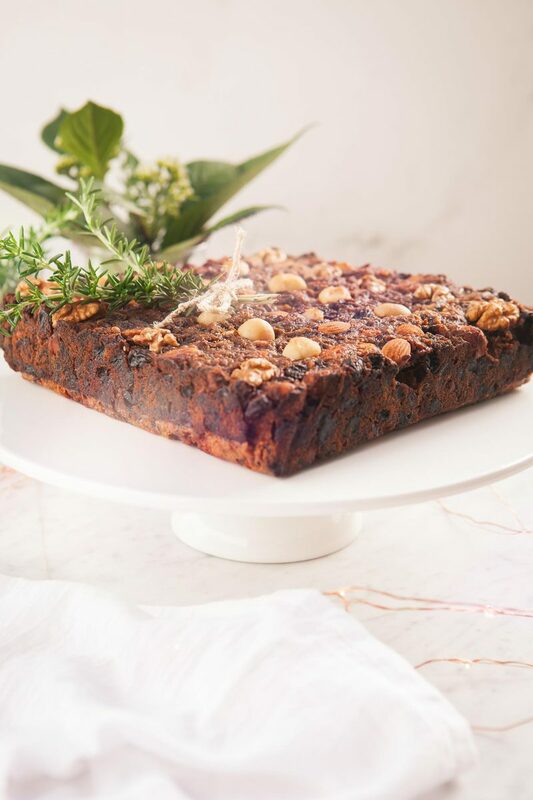 This healthy gluten free Christmas fruit cake is a family recipe that has been tweaked and modified over the years. There is no added sugar, butter or eggs, and sorghum flour is used in place of self raising white flour (though almond meal would work equally as well). Soft and moist – perfect with a digestive herbal tea after Christmas dinner. 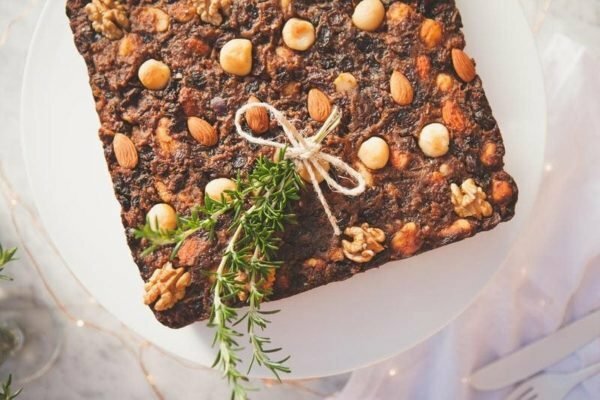 It’s not Christmas without a traditional fruit cake, so today I have a family recipe to share. I think it originally found it’s way to Nana via one of her old friends. 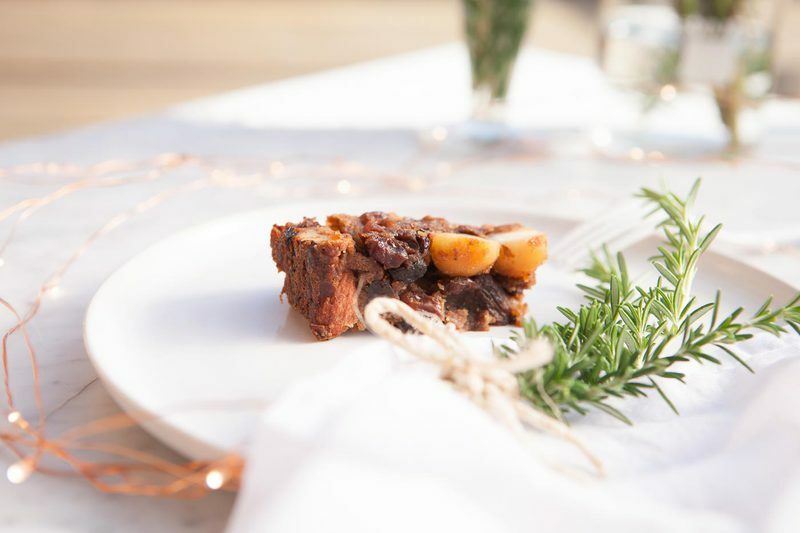 It once included glacé cherries, tropical fruit juice and white flour – but due to our more health conscious diets of recent years, Nana has been adapting the recipe to keep up with us. Every year, she bakes what seems to be the equivalent of a bakery’s worth of fruit cakes, decorating them with fruits and nuts, then wrapping them up in little parcels ready for dispatch amongst the growing family. She is an exceptional cook – and we all have our favourites from her – mine is without doubt the fruit cake, my partner only ever requests fritula (Croatian fried doughnuts), my sister is a piggy for palacinke (Croatian crepes) and Dad won’t share his apple pie with anyone (he will literally hide it in the back of the fridge if we’re over and having a rummage!). Firstly – mixed fruit contains a lot of hidden sugars. It is generally a mixture of sultanas, raisins, currants, mixed peel, glacé cherries and oil. The mixed peel and glacé cherries have added glucose, sugar, preservatives, flavourings and colour. 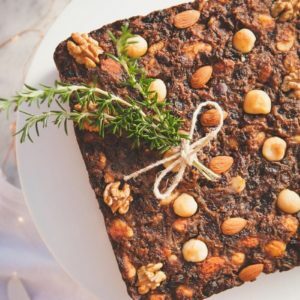 When Nana makes this recipe, she buys store bought dried mixed fruit – and picks out the peel/cherries – then adds a generous amount of freshly grated citrus zest back in herself. 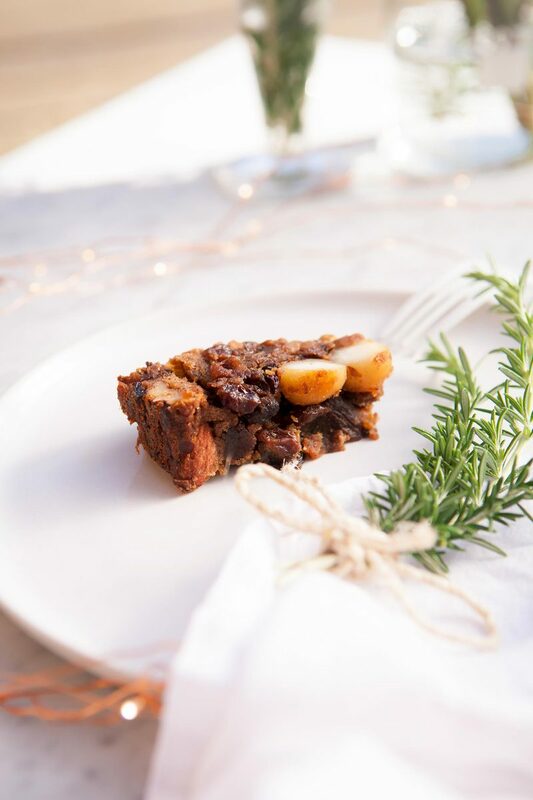 As an alternative, you could use equal portions of sultanas, raisins and apricots – figs and prunes would also be a nice touch. Secondly – there is absolutely no need to add any extra sugar when you’re using this much natural fruit! Most recipes call for white flour to bring the cake together. This recipe uses sorghum flour instead, which is naturally gluten free. I feel like sorghum is closest in taste and texture to wheat flour. It is an ancient cereal grain from Africa with a good amount of protein and fibre. Note – you could certainly use almond meal as an alternative – though I personally think there are already enough nuts in there. Great news for those with sensitivities/intolerances to eggs! However, if you do a straight swap (wheat flour for sorghum), and omit the eggs, it’s likely the end result will be a little crumbly. We don’t worry too much about this. We tend to cut the cake, squish it all up and gobble it down. If you want a slightly firmer finish, then add two tablespoons of ground flax seeds or psyllium husks to the mix, these are both reliable egg replacers. 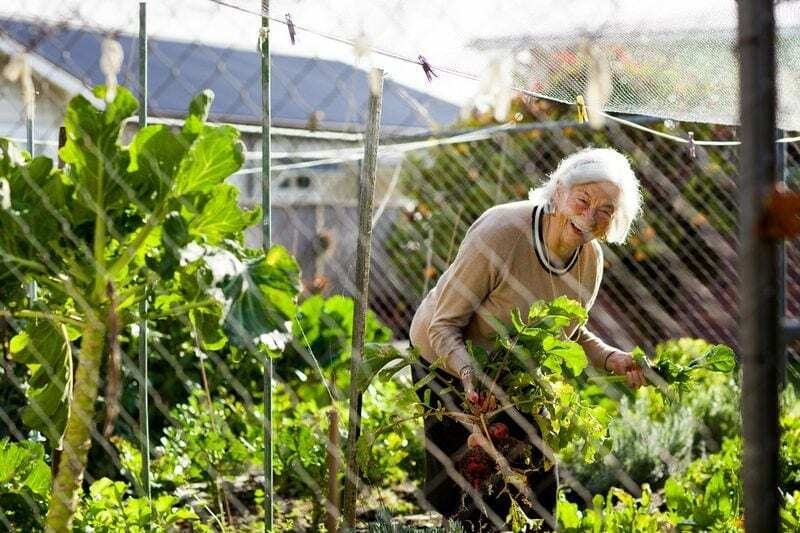 Well – this is a highlight if you’re Nan – the old girl loves her a bit of sherry! The cake is soaked overnight in a mix of brandy and dry sherry, which helps preserve the cake – a good thing since it’s very rich and not the type of thing you’d eat a lot of in one sitting (unless you’re me, then you don’t stop till your gut aches, and even then, you push on). As an alternative – you can soak the mixed fruit in pure orange juice or a strong brew of chai tea (oh my gosh yes! But also – this is actually the healthiest option of the three). So there you go – a classic with a twist from the family kitchen. 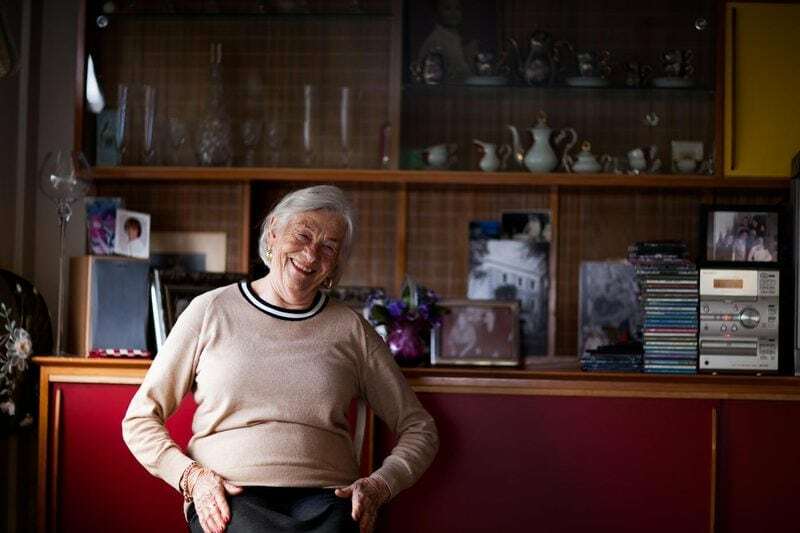 And here’s a few pics of Nan, taken by my talented big-little brother. Nearly 88 years young. 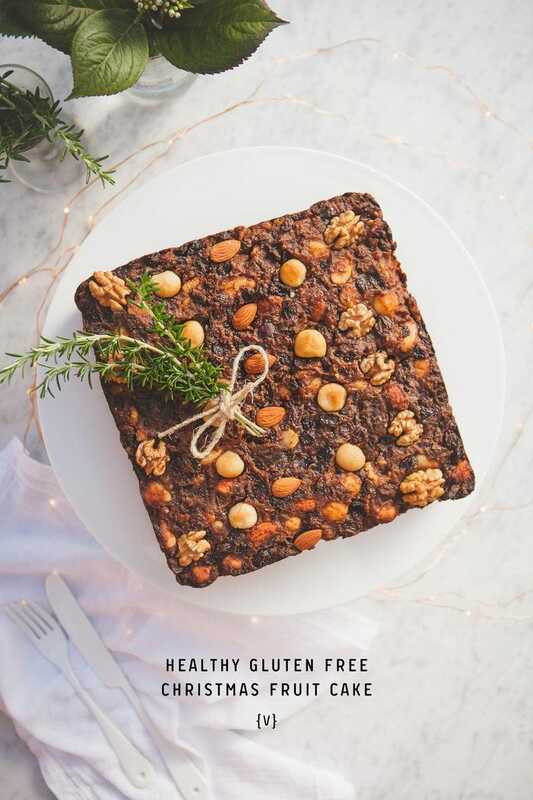 This healthy gluten free Christmas fruit cake is a family recipe with a twist: no added sugar, butter or eggs, and sorghum flour is used in place wheat flour. Soft and moist – perfect with a digestive herbal tea after dinner. Vegan. Soak the mixed fruit and dates in the brandy and dry sherry overnight, or even longer. You will still need to soak the fruit if using orange juice or chai tea in place of alcohol. When ready to cook, pre-heat oven at 150˚C (300˚F) and line a square cake tin with baking paper and set aside. Add the nuts, citrus zest and mixed spice to the soaked fruit and stir well. Sift in the flour and baking powder – you may need the full 1½ cups of sorghum flour though this depends on how moist the batter is. Add the ground flax/psyllium last if using. Pour mixture into cake tin and smooth out the surface. Cover with tinfoil. Bake for 1¼ hours, then remove the foil and bake another five minutes to brown the top. Once cooled, wrap in baking paper then again in tin foil or newspaper to keep fresh. If you went with the brandy and sherry, the cake will last for weeks or more.